Oh, how insular our little perfume loving world is. We even have our own jargon. I explained how fragrance companies sometimes release limited-edition summer versions of their most popular fragrances. Although I’ve fallen for a few flankers — Yves Saint Laurent Opium Fleur de Shanghai comes to mind — for the most part I don’t waste my time with them. Too many other fragrances beckon. But maybe I’d been missing out. At Nordstrom, two flankers commanded prominent display: Coach Summer Edition 2012 and Burberry Brit Summer Edition. Coach Summer Edition 2012 has notes of water lily, mandarin, gardenia and magnolia. To me, it doesn’t smell distinctly of any of these notes. No juicy mandarin, voluptuous gardenia, or creamy-crisp magnolia sings clearly. Instead, a little pale orange and a whiny white floral note ride a tide of aldehydes, ozone, and a thin woody musk laced with laundry soap. Coach Summer Edition smells like a mall perfume cliché. Below the Coach on the shelf was Burberry Brit Summer Edition 2012. Its notes include Japanese green tea accord, Italian lime, green almond, pear, sugared almond, white peony, white musk, amber, and the tantalizingly named “vibrating” mahogany wood. Burberry Brit Summer Edition’s lime carries the top of the fragrance. It’s a soft lime rather than the crisp lime of Guerlain Eau de Cologne Impériale, and it’s soon subsumed by sweet wood (thankfully non-vibrating) and clean musk. The pear and almond are almost impossible to pick out. 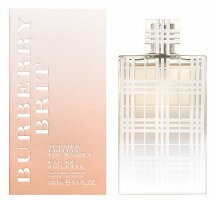 The cool-warm play of the fragrance’s clean lime and musk against the almost chewy amber and wood makes Burberry Brit Summer Edition interesting. It’s fresh without being too predictable, and it has definite personality. Frankly, though, for a lime-wood fix, I’d go with the drier Dana English Leather and save the extra money. Last night, liberally sprayed with Coach Summer Edition and Burberry Brit Summer, I met a friend at a bar. “I’m testing two perfumes,” I said and proffered my forearms for a sniff. “I can tell. I could smell you ten feet away. That one’s not so bad,” he said and pointed to the Burberry Brit arm. “But that one —“ he nodded at the Coach arm “— Well, I didn’t want to say anything.” There you have it. 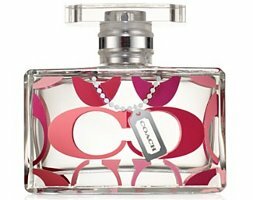 Coach Summer Edition 2012 is $65 for 50 ml Eau de Toilette, and Burberry Brit Summer Edition is available in 100 ml Eau de Toilette for $67. Both are widely available. Don’t know the Coach summer flanker but I admit that Burberry did quite nice job for Brit this summer. I sampled the male version of Brit summer Edition 2012 and it smelled quite nice as for the fragrance for summer, as for the flanker. I haven’t had the chance yet to try the male version. I’m glad to hear it’s a good one, though. I’ll definitely look for it next time I’m at Nordstrom. I remember kinda liking the summer coach from last year or 2010, not sure. but really don’t like the current one. And Burberry, ugh..really don’t like that house at all. Haven’t found one I like remotely. I didn’t try Coach’s summer edition from last year. It’s nearly impossible to stay on top of all the flankers! Angela, you are a much braver woman than I to go out wearing “tester” fragrance. I only test when I know that I’m staying in as I usually cannot sandblast fragrance from my skin. “…mall perfume cliche.” lol! Good one. I’m sure I’ve fumigated many a public place with my testing…. It seems as though not many sales assistants know quite what a flanker is either – and I don’t just mean the word. Anyone who ever buys any perfume whatsoever, let alone sells it! should be taught this. Its just fundamental. I admit I’ve become so immersed in this perfume thing that it slipped my mind that not everyone knows what a flanker is. I wonder if other industries use that term, too? At a local bistro they have flankers on the menu board as sides !!! Eg chips , wedges and breads !! I thought it was funny they used that word to advertise sides , I think they were just trying to be a little bit trendy , as the restaurants tend to be in my area, so there u go , foodies use the word flanker too ! I didn’t know that! But I can totally imagine “flanker” rather than “side” on a menu. Yes, I’ve used the term “flanker” while perfume shopping and had a confused look from the SA. Really took me by surprise! A lot of the SAs are super nice, but not always perfume geeks, that’s for sure. The SA who so nice gave me the labels for my samples didn’t know the main floral note in Fracas (my friend was smelling it while I made samples), for instance. Thinking about it, I wonder if it would actually be worse for a store to have perfume geeks as SAs? We might be tempted to roll our eyes at the tweens handling the Bieber perfume and say to the person considering the bottle of Chanel No. 19 “If only you could smell the vintage!”. I’ve had great help at the Nordies downtown, even if not the most geeky, as you put it! And I do love how they now just set the sample vials out for us to fill ourselves–so civilized! I would like to think that a compassionate perfumista SA might be a little disappointed in the Beiber-buyers, but also encouraging. After all, maybe Someday will be their gateway into finer fragrances! A funny point about the reformulations/vintage issue though! See, you have the perfect attitude! You’re right. The best perfume geek SA would toss snobbishness aside and delight in any perfume enthusiasm she sees. I have been searching madly for my summer scent and ordered some samples from Luckyscent (sorry, no flankers!) . Tried one (Profumi Del Forte – By Night White) and it smelled like Playdoh on me. What creates that smell profile? I haven’t smelled By Night White, so I can’t comment directly on it, but I’ve heard heliotrope described as playdoh or as “doll head.” I wonder if that’s it? Dolls head , I love that smell!! I always snuck a sniff when I had a chance, her lovely plastic completion always smelt better than her pretty shinny hair ! Must explore heliotrope . Thanks and amusing read by the way……. I think it’s kind of u to let your friends smell u before they can see u ! Well, the friends might like it (sometimes), but what about the strangers? Lucky for all of them, mostly I wear perfume I like and quietly. Angela – thank you so much for your expertise. I went back to the Luckyscent website and sure enough, By Night White contains heliotrope! I guess that note does not mix well with my skin chemistry. Thank goodness for samples- imagine if I bought that fragrance and was stuck with it. Or worse yet, wore it and had heat-crazy preschoolers chasing me through the mall trying to mold me into a novel Playdoh creation! Wow–what a visual on the preschoolers! Yes, sampling is such a great idea, even reviews swoon about something. You never really know how you’ll like it until you try. Well, I have to say it sounds like the Coach flanker perfectly expresses the brand. (Sorry, not a Coach fan.) You’re definitely more courageous than I am, trying flankers! There’s so much out there I haven’t smelled that I haven’t made it to the flankers yet. I’m not a huge fan of Coach as a brand these days, either. The bags aren’t as high quality (fabric linings, cheaper construction) and the style has lost its Bonnie Cashin mod flair. If it weren’t for weekly perfume reviews, I’m sure I wouldn’t be testing many flankers, either! So true about the Coach bags! My favorites are from the classic line and with the lifetime guarantee, I’ve had several bags refurbished over the years, one of them more than once (what can I say, I’m somehow pretty rough on my bags). The best thing that ever happened to me was they stopped sending me those 25% off coupons — I used to use them religiously and have amassed a collection of Coach jewelry. was not even a flanker to the first one, in my opinion. Also, the bottles used to have a more elegant look to them, including a real hangtag charm around the neck of the bottle. I’ll try these 2 when I’m back at Nordie’s this Sunday. I have a red Cashin Carry, and I love it. I still have one of the old hobo bags around, too. Those old Coach bags were terrific.